Renewal Funds is Canada’s leading “mission venture capital” investment firm, with $98 million of assets under management in early growth stage Organics and EnviroTech companies in Canada and the USA. The Fund has over 150 individual, family, and foundation investors mostly split between Canada and the USA, with several in Europe and Asia. The goal is above market financial returns from a portfolio of companies offering positive societal advances. Renewal Funds dynamic team is led by Paul Richardson, President and CEO, and Joel Solomon, Chair, with crucial backing from Carol Newell. Renewal Funds has been named a "Best for the World Funds" by B the Change Media, for setting the measurement and management bar for impact investing. It has also been name a B Corp for "Best for the World Company." The firm grew out of Carol’s visionary work as Founder and Funder of “Renewal”, her activist Family Office, using a “whole portfolio activation to mission” strategy. Carol boldly dedicated her wealth to examination and alignment of each dollar for positive impact, and a powerful focus on her home region of British Columbia, Canada. Renewal launched in 1994 with a 50-year strategy and a 500-year vision to influence and support the shift to an economy that prioritizes long-term well being of future generations. Carol created charitable foundation, Endswell, leading to the formation of Tides Canada, seed-capital firm Renewal Partners Company, and unique learning gatherings PlayBIG, Social Venture Institute, Social Change Institute that originated at Hollyhock. Renewal prioritizes the greater good in the stewardship of wealth and influence. Joel partnered with Carol for 14 years as President and CEO, co-strategizing and implementing the principles of a clean money revolution. Vision Vancouver is a coalition political party of progressive values, that has elected a mayor with council majority for three terms through 2018. Vision’s robust agenda, rooted in strong social and environmental commitments, has resulted in Vancouver having Canada’s strongest economy and growing leadership as an emerging as a modern global city. Priorities include strong transit, greenest city in the world, an affordable housing boom, and flowering of creative culture, in an inclusive, innovative, forward thinking clean economy. Vision is a model of how values-aligned citizens can assert progressive agendas in politics. 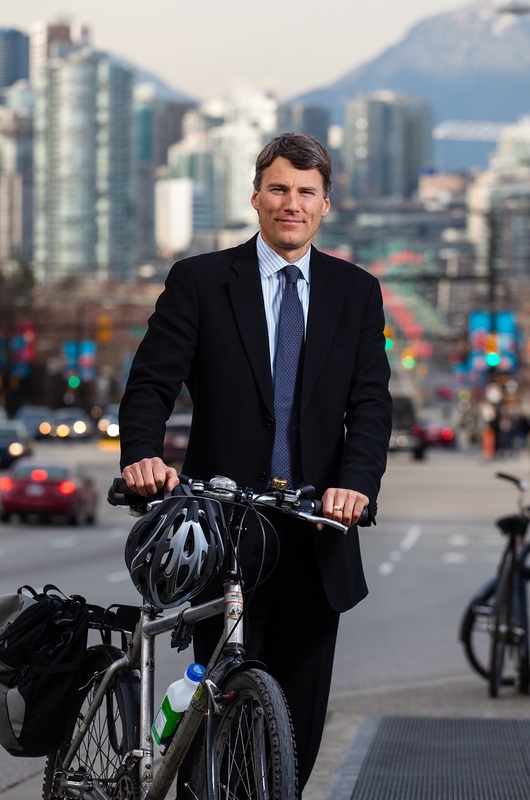 Mayor Gregor Robertson was Co-Founder of Happy Planet Foods, where Joel served for years as a Board Member representing the investment of Renewal Partners. The two became close family friends. Joel has been a supporter, intimate in the strategy and advancement of Vision as an influential force in British Columbia, in Canada, and beyond. Tides Canada is a major innovator in big picture philanthropy in the Canadian not-for-profit sector. They create uncommon solutions for the common good. Tides Canada works on a healthy environment, social equity, and economic prosperity for all Canadians. Sophisticated collaboration with donors and social change leaders, builds bridges between sectors, helping to steer philanthropic dollars into addressing tough national challenges, in one of the geographically largest nations on the planet. Tides has special focus as a partner to numerous, vibrant indigenous nations within Canada. Canada has enormous potential as a diverse, open society, to be a model for the coming global challenges facing the planet. Tides Canada is a leader in new models, broad perspective, and its ability to bring together unlikely partners to work on solutions to the biggest challenges. Joel and associates drove the formation of Tides Canada, built through the spend down of Endswell’s capital base. Carol and Joel’s theory was to leverage the relatively small Endswell endowment into a lasting legacy social enterprise that brought an earned revenue component to the world of Canadian charitable foundations. Joel was a Founding Board Member of Tides Canada, serving for the initial ten years, remaining closely involved as a committed ally. Hollyhock is a lifelong learning educational center that inspires, nourishes and supports people making the world better, through it’s legendary Cortes Island campus, and its growing work in Vancouver and beyond. Through the intersection of professional and personal development Hollyhock advances consciousness, connection, and community toward solutions for a better future. Programs focus on rekindling purpose, building resiliency, and cultivating personal well-being with the goal of contributing to long-term societal well-being. Social Venture Institute (SVI), one of Hollyhock’s key programs, offers mission-based entrepreneurs the opportunity to share challenges, successes, and experiences in an atmosphere of trust and goodwill. Since it’s inception over 2,500 participants have strengthened their business skills and networks while rejuvenating their passions and visions.